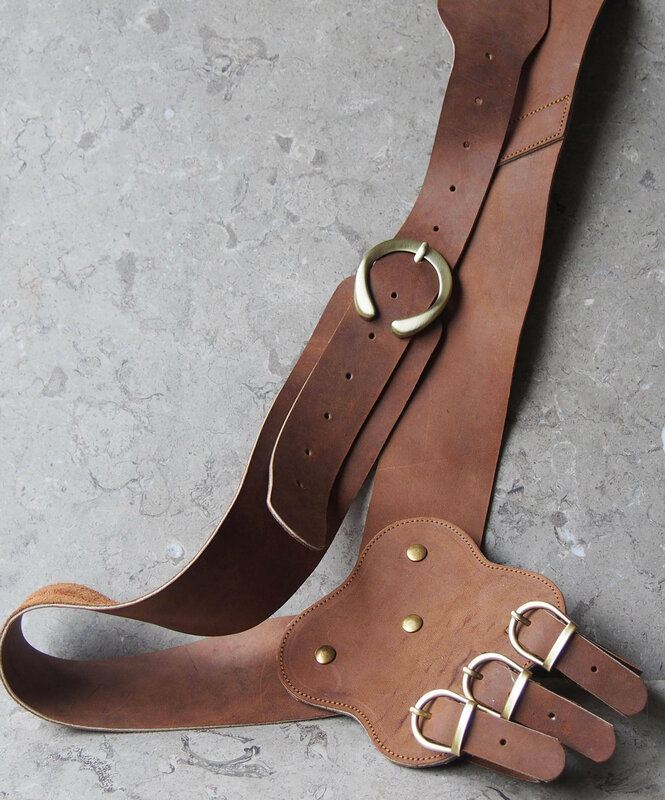 This leather baldric design is based on historical styles, but I've added my own detail to the frog (piece with the loops that hold the scabbard) by giving it a quatrefoil shape. 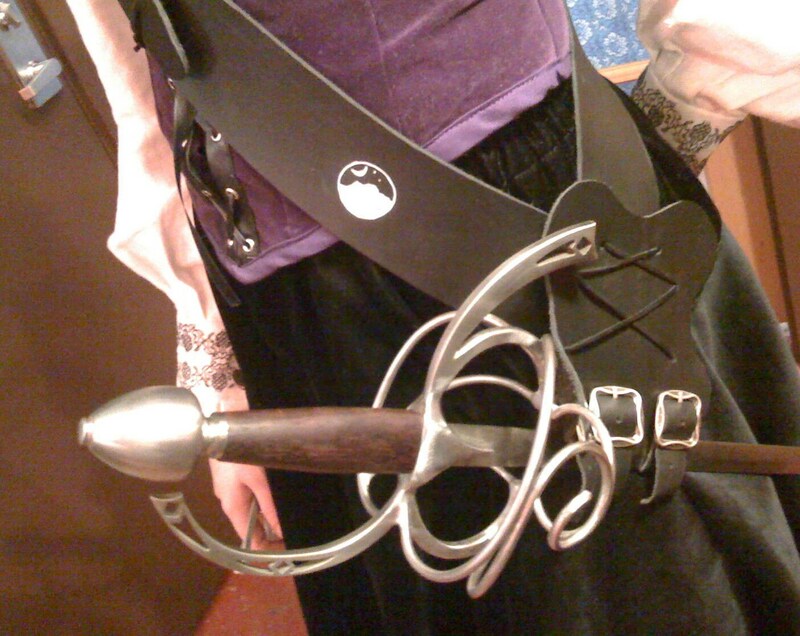 This is appropriate for LARP, cosplay or any musketeer/pirate costume. Initial version was custom made for a client, and has lacing details, instead of the three chicago screws on my items for sale. 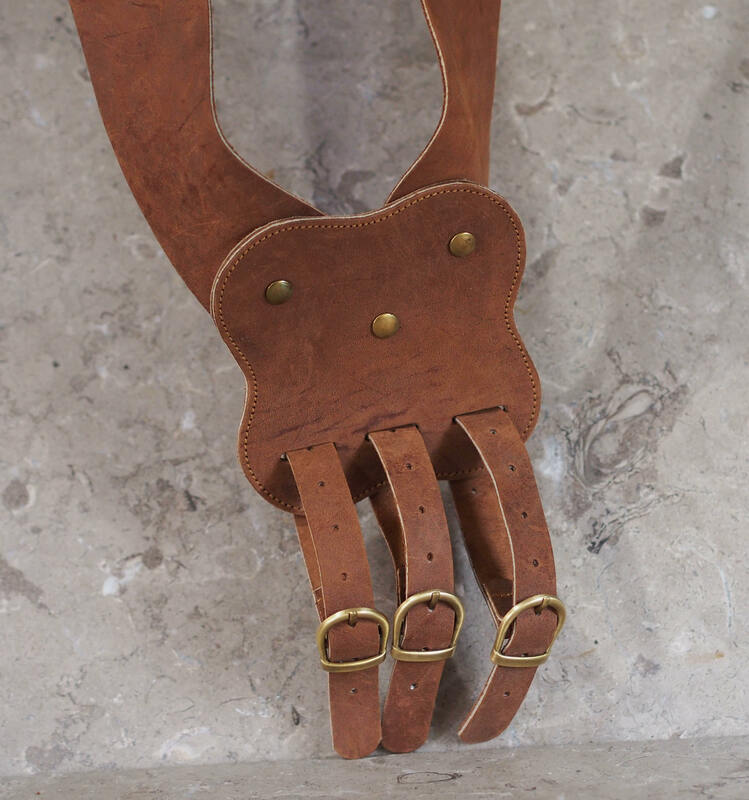 The three chicago screws make adjustments of the strap ends to the frog easier & faster to accomplish, as well as a slot on the back of the strap that allows the frog to slide about a bit to hang more comfortably with the weight of your sword. 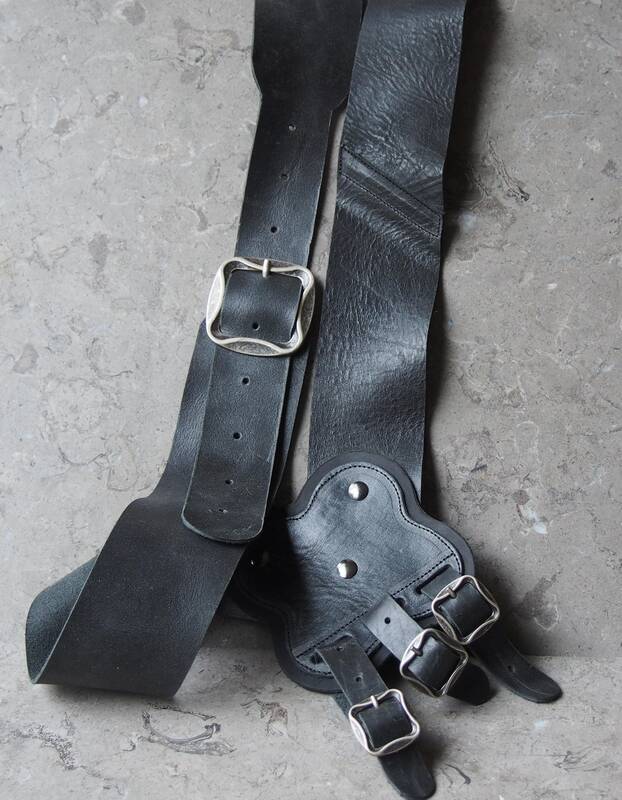 The main strap is 2.5" wide, but tapers for the main adjustment with the large buckle to 1.5". 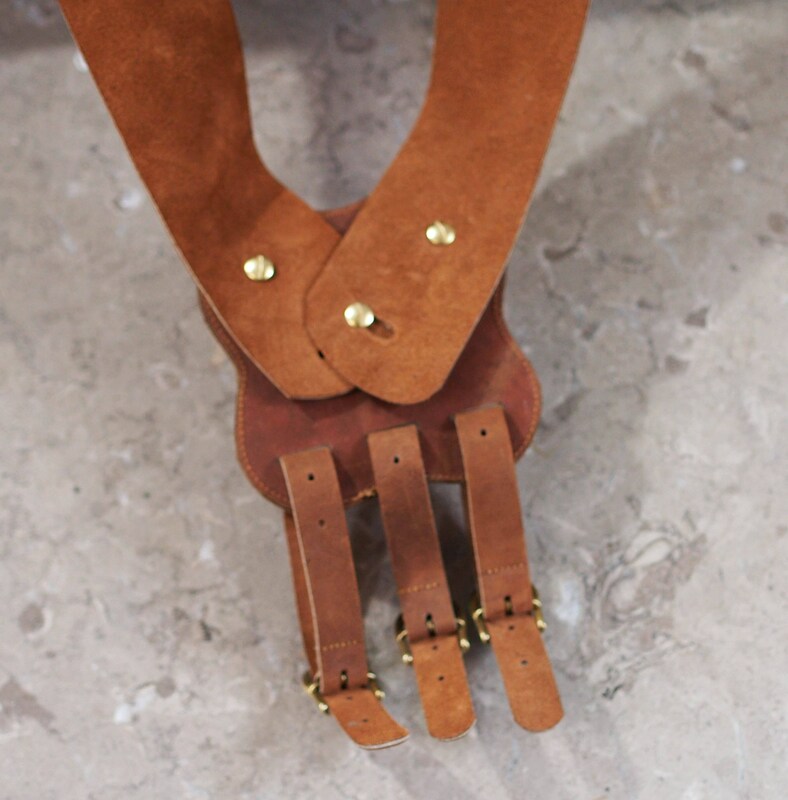 There are 9 holes every 1.25" on the grey, and 12 holes every 1" on the brown strap. 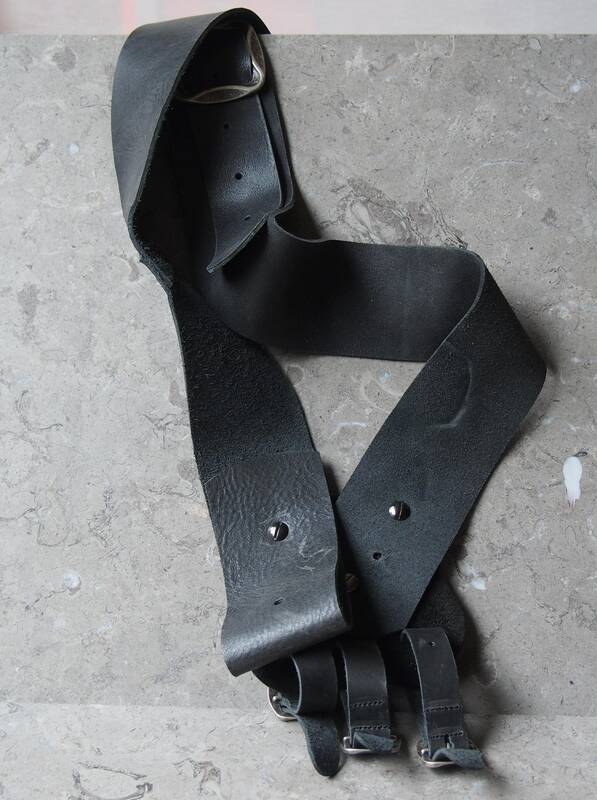 The grey strap has a few holes on the end of the strap where it can affix to the frog at different points, providing plenty of fit customization. 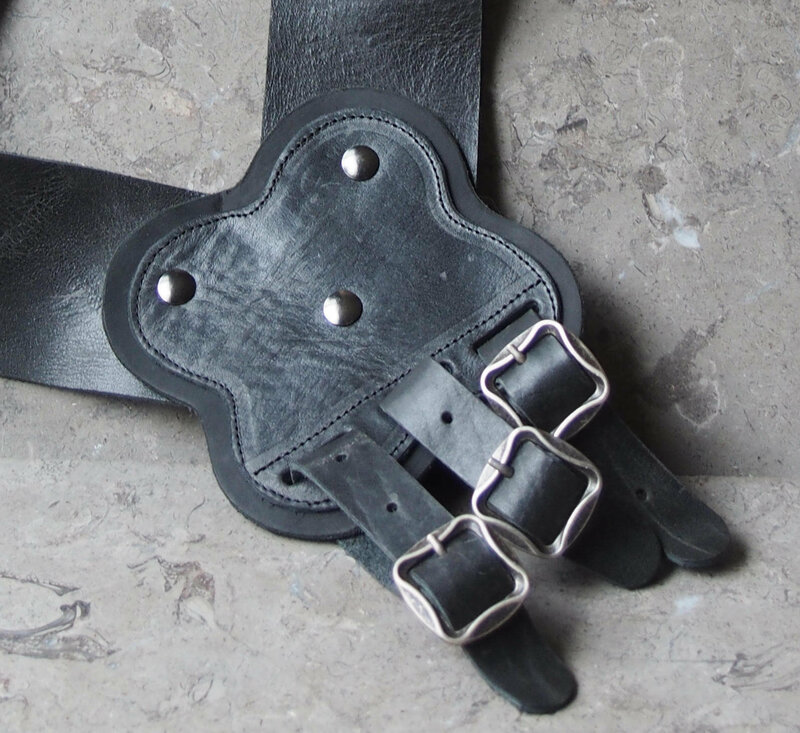 Black oxide screws are used to blend in with the leather. 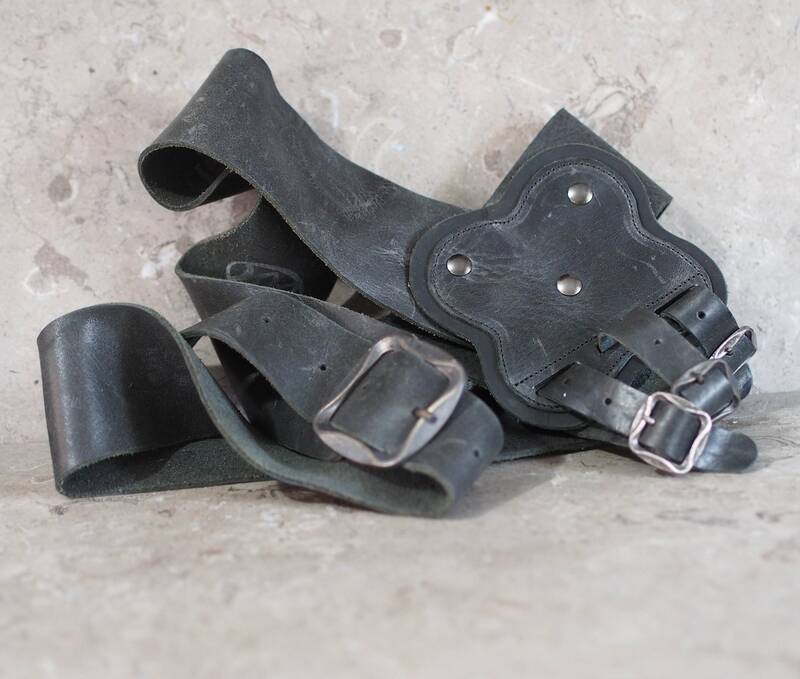 The buckles are antiqued silver finish, both for the 1.5" main buckle, and the 3 for the scabbard loops. The scabbard loops are 0.75" wide and over 8" long, with 6 holes spaced 1" apart. This leather is firmer than the grey, but its frog is also backed with a even firmer leather, but its edge it kept even with the main leather. 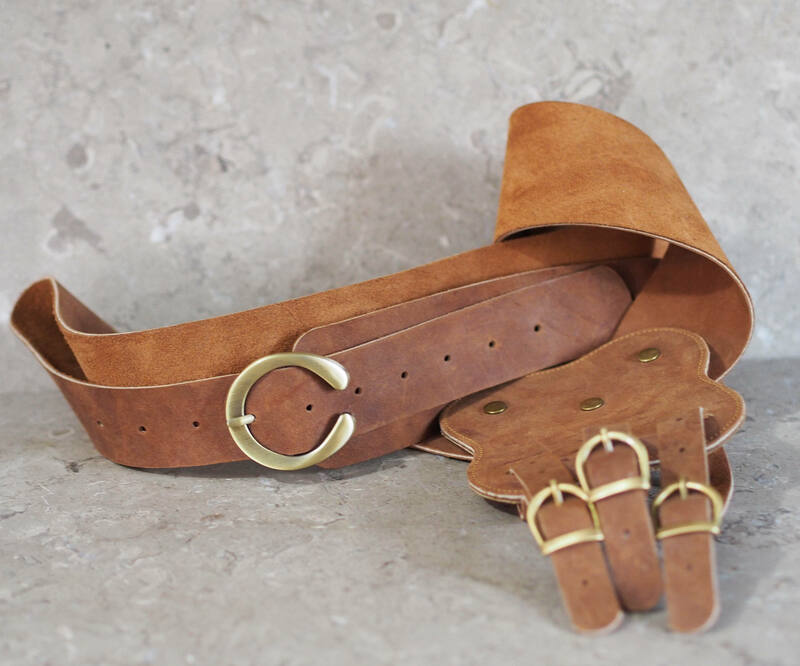 Brass chicago screws are used, as well as brushed brass buckles. The scabbard loops are 0.75" wide and over 10" long with 10 holes spaced 0.75" apart. 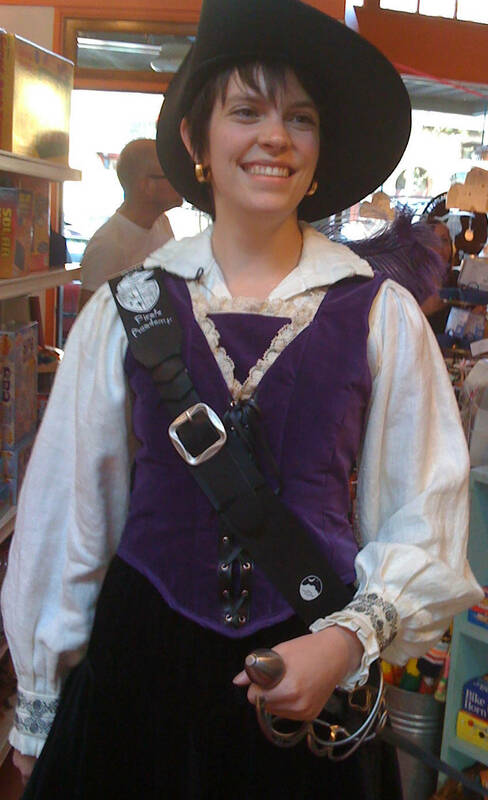 The client is shown wearing her customized baldric for her foil with hand painted details in white on black cowhide, and the frog is laced, rather than with chicago screws. (photo used with permission). Another design difference besides the lacing vs. screws is that I doubled the thickness of the frog so it keeps its shape with all weights of scabbards & blades. Please convo me if you need any customization, e.g. left handed (should be interchangeable, but I will set it up for you); longer scabbard loops; length or width changes.... or some custom artwork! This baldric is fantastic. It looks, fits, feels, moves, and stays put perfectly. It's a beauty. Shipping was fast. Communication was excellent. I'd highly recommend the seller and product anytime!